Just when you thought you were safe from Moon-dwelling space Nazis, Iron Sky goes and drops a new trailer on you. The action/sci-fi/comedy film from director Timo Vuorensola centers on a group of Nazis who escaped Earth during World War II to hide out on the dark side of the moon. After plotting their revenge and building an invasion force over the last 70 years, they’re finally ready to take back the world. Starring Julia Dietze, Peta Sergeant, Udo Kier and Christopher Kirby, Iron Sky can invade your hometown courtesy of Tugg, the service that lets you vote for the movies you want to see. Hit the jump to check out the new trailer. In the last moments of World War II, a secret Nazi space program evaded destruction by fleeing to the Dark Side of the Moon. During 70 years of utter secrecy, the Nazis construct a gigantic space fortress with a massive armada of flying saucers…and now they’re coming back to claim Earth for their own. Two Nazi officers, ruthless Klaus Adler (Götz Otto) and idealistic Renate Richter (Julia Dietze), travel to Earth to prepare the invasion. In the end, when the Moon Nazi UFO armada darkens the skies, ready to strike at the unprepared Earth, every man, woman and nation alike, must re-evaluate their priorities. 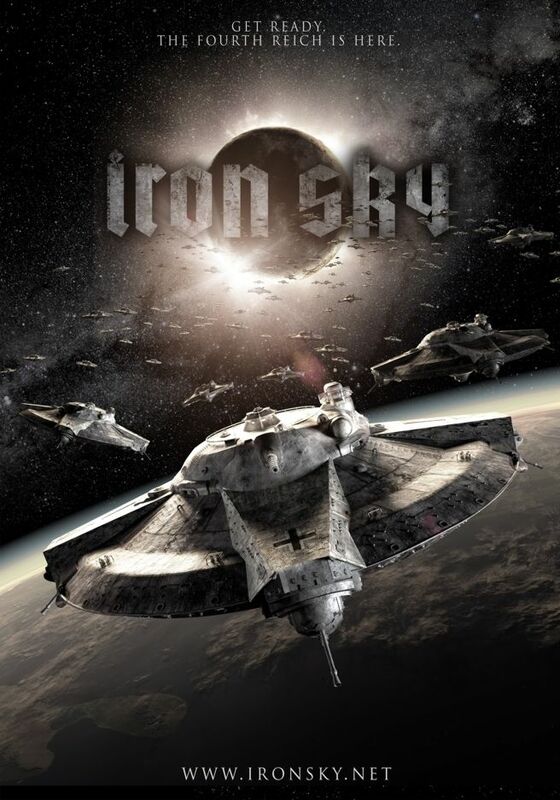 Be sure to check out Matt’s SXSW review of Iron Sky and, if you haven’t gotten your fix of Moon Nazis, head on over to the film’s official website. Nazis…I hate those guys!